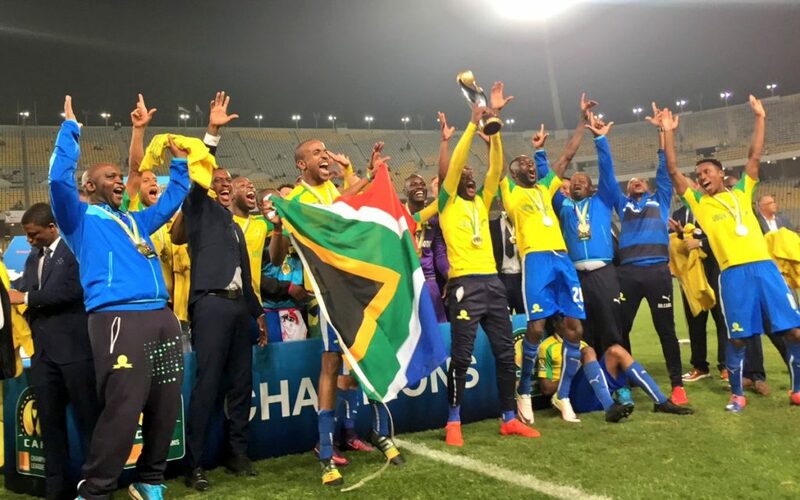 SOUTH AFRICA has never punched its weight in the CAF Champions League, but just a couple of weeks ago, Mamelodi Sundowns became only the second team from “the rainbow nation” to lift the continent’s major club trophy. The last South African team to win the competition was Orlando Pirates in 1995. The Sundowns reached the final in 2001, but they were beaten by Egypt’s Al Ahly, the most successful club in Africa. Mamelodi had more than a little good fortune on their way to the title. For a start, they were eliminated in the second round, beaten by Vita of the DR Congo. But Vita fielded an ineligible player and their results were about-turned. Mamelodi found themselves back in the competition. They also saw one of their opponents, ES Setif, kicked out after fans rioted. The club has been owned by mining magnate Patrice Motsepe since 2003, arguably South Africa’s richest man with a fortune valued at around USD 2.5bn. Motsepe is a disciple of Dutch football and was influenced by Dutch legend Johan Cruyff in his early years with the club. That might explain why, among others, Johan Neeskens was once coach of the Sundowns. Unfortunately, Neeskens was attacked by Sundown fans after a string of poor performances and left the club in 2012. Since then, Pitso Mosimane has been in charge in the dugout at Mamelodi and he’s led them to two Premier League titles, the Nedbank Cup, the Telkom Knockout Cup and now the CAF Champions League. The title was won over two legs against Egypt’s Zamalek, the first leg a 3-0 win in front of 30,000 in Pretoria and a 0-1 defeat in Alexandria before 70,000. The team arrived back in South Africa to a heroes’ welcome. Mosimane was overcome with emotion: “I’m humbled to hear everyone chanting my name,” he said. Since winning the trophy, Mosimane has admitted that motivation has been a problem for his squad. It is not an especially youthful group, so perhaps rebuilding might be needed. Players like midfielder Hlompho Kekana (31), goalkeeper Denis Onyango (31), Liberian striker Anthony Laffor (31), defender Thabo Nthethe (32), Teboho Langerman (30) and Asevale Mbekile (30) are all approaching the veteran stage of their careers. While Mamelodi have been distracted, they have fallen behind in their league games. They have only played three g so far this season, so they have some ground to make up. South Africa will surely forgive them while they enjoy one of the greatest achievements in their country’s football history.